If you’re fed up with perching on a saddle that’s causing you pain, we’re here to help. We’re convinced that the only way to see if a saddle is right for you is to try it. No amount of measuring sit bones and sitting on jelly pads can replace testing a saddle out for real whilst riding. That’s why we offer our saddle fitting and trial service. What is a saddle fit? Our saddle fit session allows you to try out a huge range of saddles from Fizik, ISM Adamo and Cobb Cycling on our fitting bike. 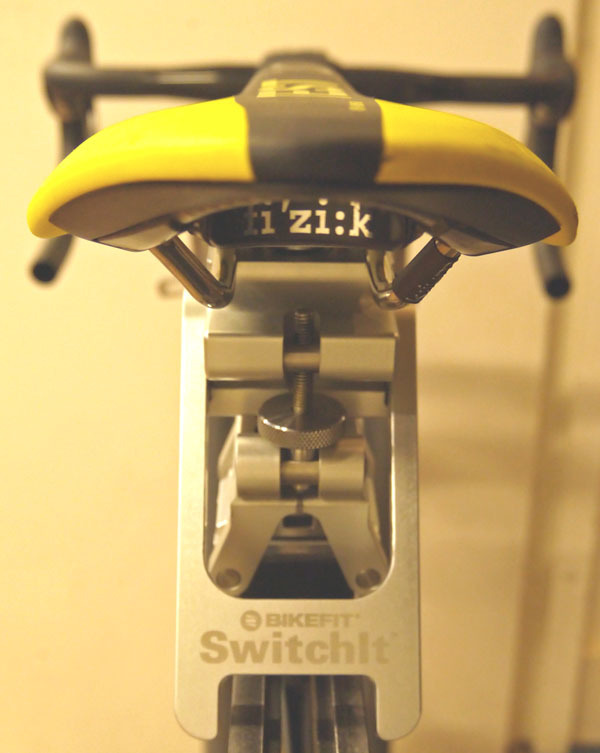 Our BikeFit.com “SwitchIt” system allows us to swap saddles over in a matter of seconds, making the job of narrowing the field of suitable saddles down quickly and easily. Once we’ve identified a favorite then we’ll let you take a test saddle out on the road for thorough testing before you make your final decision. What does the fit session cost? There’s no charge, other than for any saddle purchased.